Rescue is training to become a service dog and really wants to do a good job. Jessica has just become an amputee and wants to be strong for her family. Rescue and Jessica find each other and change each others' lives for the better. This is a book tells a story of hope, strength, and resilience. The illustrations are gorgeous and those local to Boston will recognize a few landmarks. Both authors of this book were injured in the 2013 Boston Marathon bombing and their service dog, Rescue, provided the inspiration for the book. Last week, the authors and illustrator were at the Massachusetts Reading Association conference where I heard a little about how the book came to be. The illustrator, Scott Magoon, mentioned that he is running this year's Boston marathon which is today. Good luck to Scott! 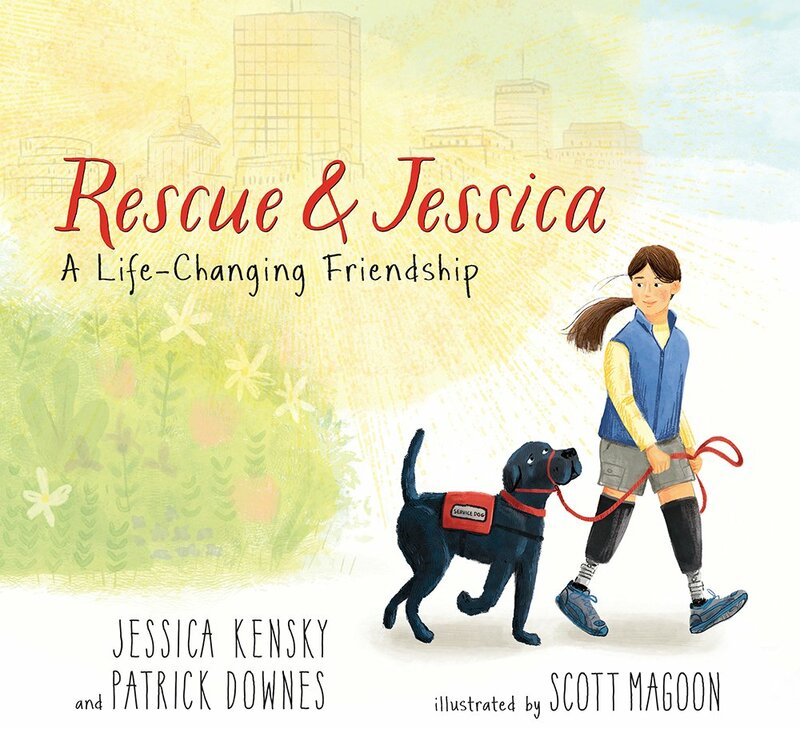 Watch this CBS Evening News clip, featuring Jessica, Patrick, and their service dog, and you will fall in love with Rescue, and then buy the book because it's one you'll want to read and share with children. 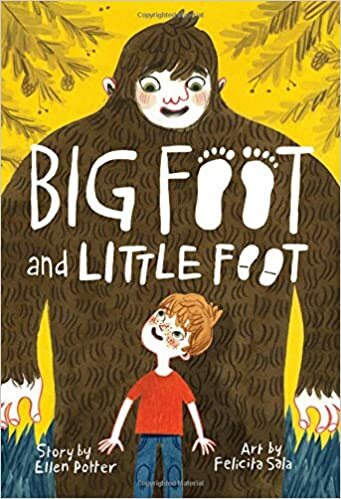 Hugo, a Sasquatch, lives in the North Woods of Widdershins Cavern, but he longs for an adventure in the human world. When he runs off one day, he makes an unlikely friend, a human boy. Hugo is a friendly and curious character who I think young readers will enjoy. This is the first in a series with an ending that leaves readers wanting to know more about the adventures of Hugo and Boone. Thanks to the author for sending my book review group, #BookExcursion, an advance reader's copy of the book. Elliot is at a new school and his class is going on a field trip to the New Jersey Pine Barrens. The day is quite eventful as Elliot makes a new friend with whom he discovers a mythical creature. 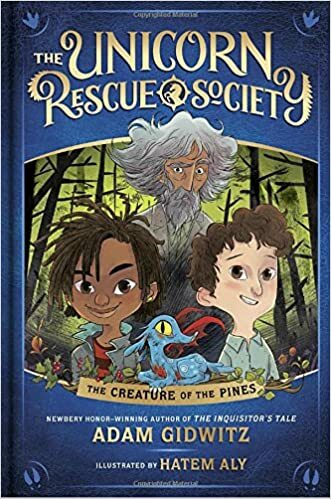 When the creature escapes, Elliot and his friend enlist the help of their quirky professor and they become members of his Unicorn Rescue Society. This is an interesting beginning to a series that promises to be adventurous and imaginative. The chapters and the book itself are on the shorter side which will appeal to readers who are new to chapter books. Anthea, an orphan, or so she believes, is once again shipped off to live with a different relative. This time she is sent beyond the walls of Coronam where she learns that much of what she has believed about her family is not true. Anthea also learns she has a gift, The Way, and can communicate with horses, which are forbidden animals. Anthea, determined and headstrong, is putting together the puzzle pieces to figure out who she is and where she belongs. She shows her capabilities when she is sent on an important quest to make things right. This is an engaging story for those who enjoy fantasy, but also those who love horses. I received an advance reader's copy of the book thanks to publisher, Bloomsbury, at the National Council of Teachers of English convention. The book publishes in May. 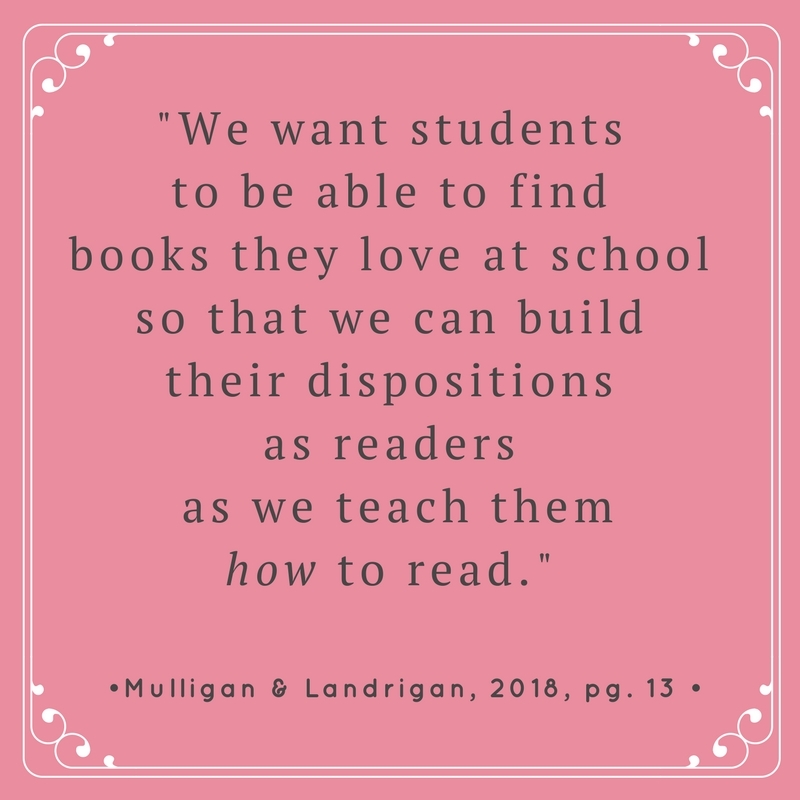 I was fortunate to attend a session with Tammy Mulligan and Clare Landrigan at the Massachusetts Reading Association Conference last week in which they shared ideas from their recently published book. Their book, It's All About the Books, celebrates and honors books as the tool to teach and motivate students to become life-long readers. 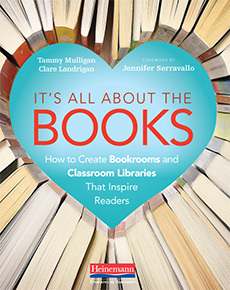 This book shows teachers how they can create classroom libraries that are student-driven and promote student choice to increase engagement with books. 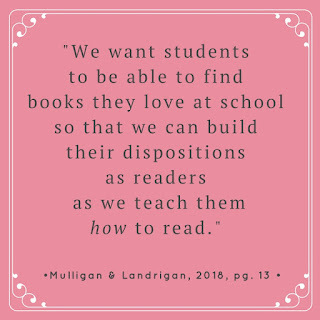 There is also useful information about designing bookrooms and making them teacher friendly to support teachers as they provide their readers access to engaging, quality books. This book covers the ins and outs of classroom libraries and bookrooms from budgeting for books, to choosing titles that students will want to read, to organizing books for easy access and everything in between. This book is not only practical and full of useful ideas, but it's also gorgeous. The color photographs of classroom libraries and bookrooms allow readers to step into actual classrooms and schools to see the possibilities for designing book spaces that are both appealing and accessible. I found this book to be a refreshing read because it aligns to my beliefs that it is not only important to support students in becoming proficient readers, but it is also necessary to help readers experience the joy of reading, that comes from reading books that engage them, so they will choose to read both, in school and outside of school, and for a lifetime. Claire & Tammy's book looks great. If I was still reading PD books, I would grab it fast. Nice to hear about it from you, Lisa. And I will find Rescue and Jessica, also seems to be a story I should know. Thanks! Have a great week! You will love Rescue & Jessica! I am excited to read Clare and Tammy's new book. I have been enjoying the color photo explosion in my recent PD books--very nice addition. My preservice teachers are obsessed with how to create a classroom library, so I imagine this one will be much borrowed and loved. Rescue & Jessica sounds like a must-read--just requested that my library purchase it. I think your preservice teachers will love It's All About the Books. I've been seeing Rescue & Jessica popping up on so many blogs recently, I can't wait for it to eventually arrive at my library! Hope it arrives at your library soon! Oh my goodness. I remember hearing about Rescue and Jessica -- didn't know it was already released. I hope to grab a copy of this one SOON. The Rose Legacy looks really good. I don't get to read much fantasy, but I do so enjoy it when I do. I'm also interested in reading It's All About the Books (hope we get a copy in our area). Thanks for sharing, Lisa! I read much more realistic fiction, but there are a few fantasy stories I enjoy. Many of my students enjoy the fantasy genre. I loved the first book in the Unicorn Rescue Society! I think it was so much deeper than it seems--the scene in the pines visiting the doctor really got me. I have Claire and Tammy's book to read too - but I'll probably hold off until summer. 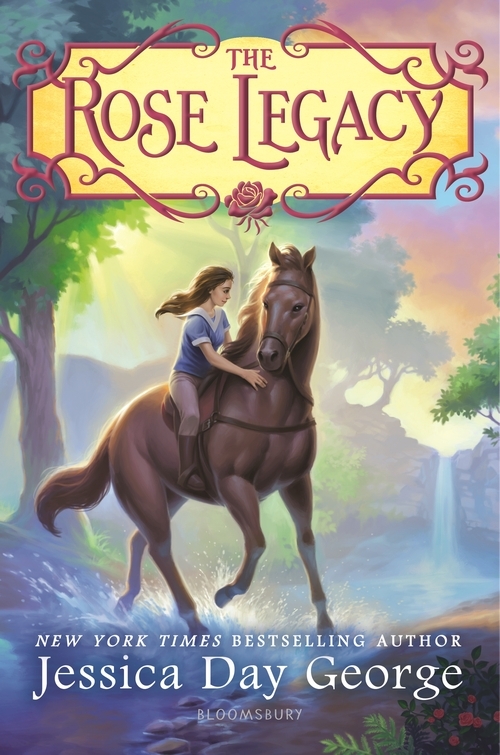 The Rose Legacy is the only one I haven't read from your list. I would like to get to it soon! Big Foot and Little Foot is on order so I put a hold on it. 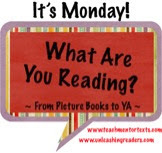 As a retired teacher librarian, I have mixed feelings about classroom libraries. I think each classroom should have a collection of books, but these collections should not take the place of fully funded and functioning school libraries. Thank you for blogging about our book. We are honored and humbled by your kind words. It was so nice to meet you at MRA.